Home/Aging, Skin Laxity/Gobble, Gobble. It’s time to take care of that Turkey Neck! 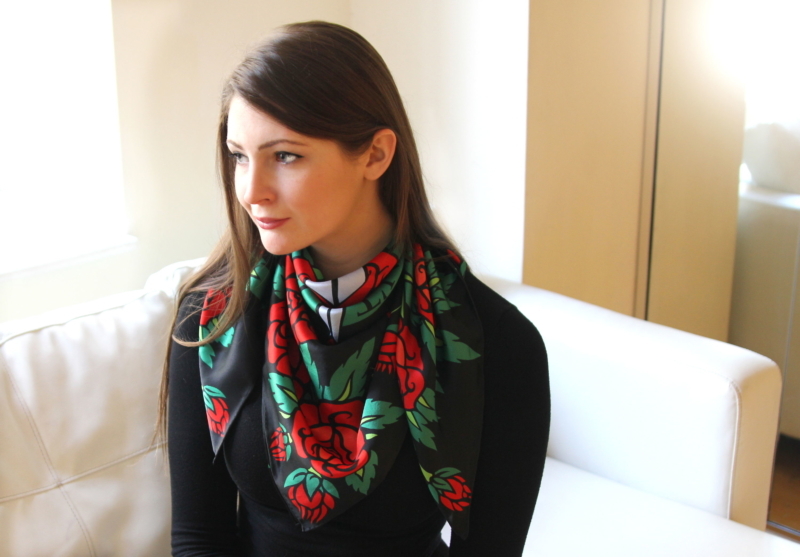 Looking forward to scarf season all year long? Hating your selfie chin-rolls? Blame it on your genetics, sun damage, or on your diet, the fact is that most people over the age of 40 can use some rejuvenation in the neck area. Here are some of the most common neck-related complaints along with some non-surgical solutions for improvement. 1. Double Chin or “Submental Fullness”– If you’ve got a little extra pouch of fat under your chin you should consider Kybella(R), an injectable solution containing deoxycholic acid, a substance that kills fat cells on contact. This quick, in-office, procedure requires just a few injections into the fatty area under the chin and results in permanent fat destruction. Downtime consists of a few days of swelling and most people require 2 treatments sessions. If you’ve got more of a “triple chin”, you may want to consider liposuction. I like the SmartLipo(R) procedure for this area because it provides some additional skin tightening along with removal of the fatty tissue. Only one treatment is required in most cases with results seen within 6 weeks post-treatment. 2. Skin Laxity – If you’re like most of us over the age of 40, you’ll have a bit of noticeable skin laxity in the neck area. Skin laxity can lead to a ‘creapy’ appearance in the skin and skin sagging under the chin area. The best treatment I’ve found to tighten skin in this area is a combination of radiofrequency with microneedling. We use the Intensif device in our practice for this purpose. With only slight redness post-procedure, there is minimal downtime. Best results are seen after a series of 4-6 sessions. For more advanced skin laxity, consider a PDO thread lift which used absorbable suture material placed in the dermis to lift the tissues in this area. 1-2 treatment sessions provide a noticeable lift which will last for up to 18 months. I recommend using Revision Nectifirm Advanced Therapy on the neck and chest to keep skin looking it’s best. 3. Neck Bands – Platysmal bands – those annoying rubber band-looking things that stretch from your chin down the front of your neck, are actually muscular bands that become more visible under the skin as we age. With thinning skin, the muscles become exposed. Luckily this problem is easily treated with targeted injections of Botox(R) or other neuro-modulators, like Dysport(R) or Xeomin(R). 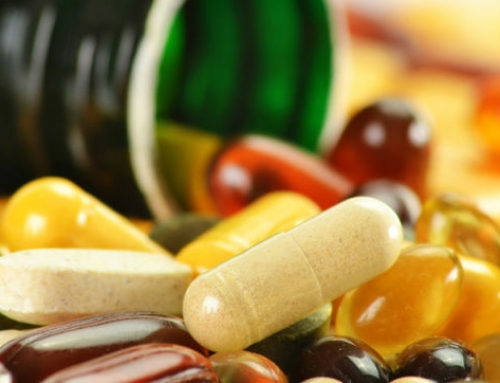 Treatments take only a few minutes to perform and results can last 3- 4 months in duration. Necklace bands are another issue – these are the horizontal lines that stretch across the neck. These can be treated with dermal fillers, such as Belotero(R) or micronized fat transfer. *Use of neuromodulators in this area is considered ‘off label’. 4. Discoloration – Sun damage in the neck area can take on a reddish/brown hue called Poikiloderma.This condition is best treated with IPL or Photofacial treatments that target both melanin and the small blood vessels that cause discoloration. Patients typically require 3 – 6 sessions for best results. 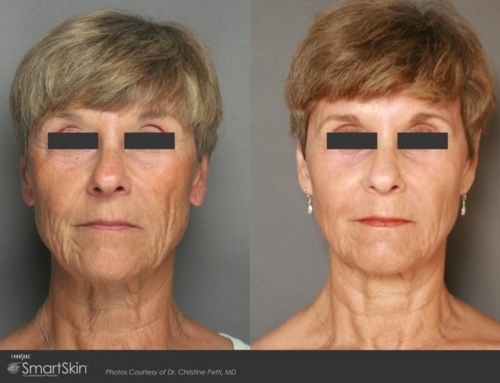 For more significant sun damage, consider the SmartSkin CO2 laser resurfacing procedure. 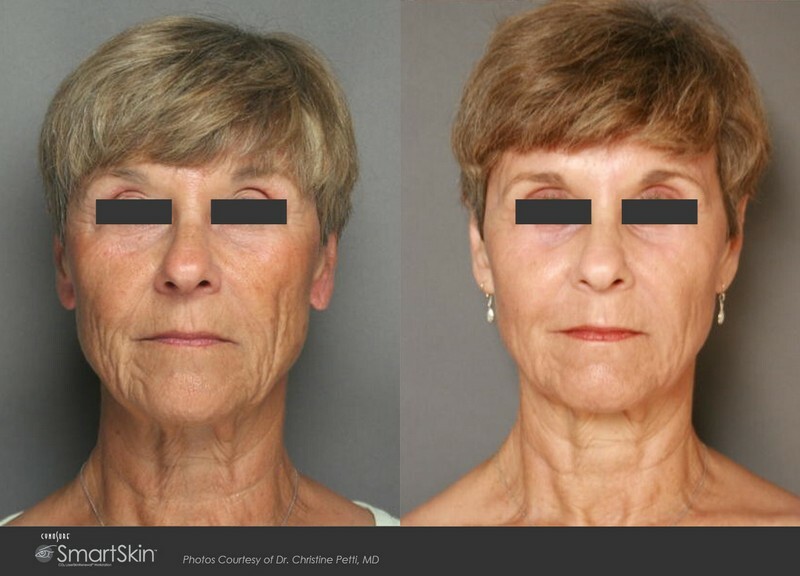 Results with this advanced procedure can be seen within a few weeks of treatment and, while downtime can last up to 2 weeks, only 1 – 2 sessions are typically required for dramatic results in skin texture and pigment correction. Lastly, as always, be sure to apply sunscreen with SPF 30+ on a daily basis to keep your skin looking it’s best! For more information about these or other treatments at Paradise Medspa, call us at 602.266.8144 or visit us on the web at parardisemedspa.com.